Georgi Vintilescu and his orchestra from the „Palais de Danse“ (Berlin-Germany) was extraordinary for the time around 1911. Before him and his recordings, dance music had been, in the majority of cases, recorded by full brass bands or military orchestras. Ihr Browser unterstützt noch kein HTML5. 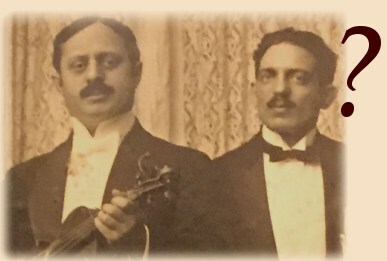 Not so Vintilescu: As one of the first on gramophone records, he used a “Saloon-Orchestra” line-up, composed of strings, woodwind, brass, piano and drums. Back then also called a “Parisian Line-up”, the sound was rather mellow, modern and up-to date. Virtually the forerunner of modern dance bands. Around this time there had been in fact also other orchestras with a similar line-up and the violin as lead instrument – but, no one with such a success like Vintilescu! In the USA this line-up had been become popular not until 1916/17, with orchestras (and recordings) by bands like Joseph C. Smith and others. Georgi Vintilescu and his Palais de Danse Orchestra from Berlin, Germany anticipated this by several years! 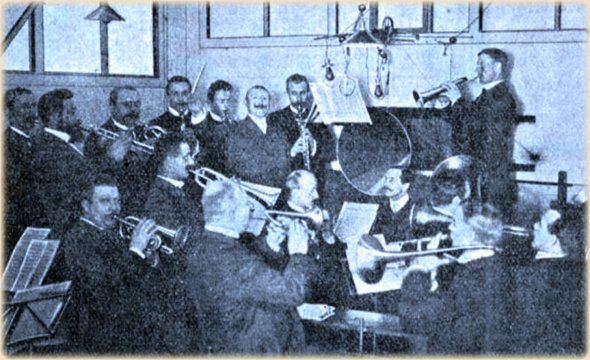 A typical studio-orchestra (Germany) while a recording session around 1904. Such orchestras made back then also the popular dance music recordings like two-steps, waltz and so on. For comparison: A two-step recorded in 1912 by a usually brass band as seen on the photo above. But also the recordings by them self had been very modern for their time in Germany and Europe. 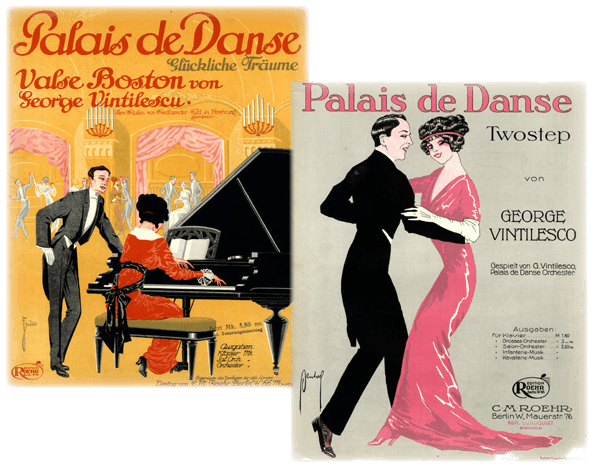 Vintilescu recorded mostly modern dance music like ragtime, one- and two-steps, tango, valse Boston and so on. Equally the latest dances from the USA like Horse trot, Turkey trot and other forerunners of the later so beloved Foxtrot. No other orchestra in Europe had such a modern and sophisticated repertoire before WWI (on records) like his orchestra. According to this, his records sold whole over Europe like hot biscuits. Till today they can be found not only in Germany, but also in Austria, Great Britannia, France, Russia and other countries of eastern Europe, Sweden, Norway and so on. Georgi had been born to Jamandi Alexandru Vintila (the name of his mother is not known) in the town Galati in the northeast of Romania. Nothing more is known about his youth. 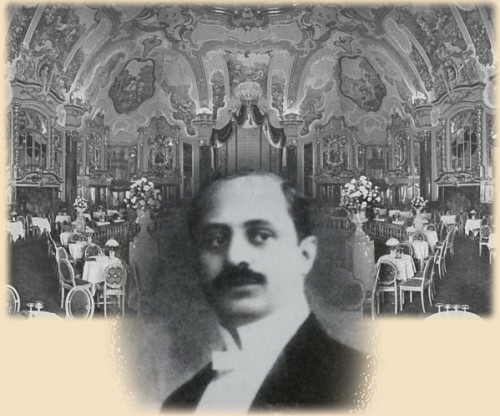 “Café Braun”: Genuine, Romanian Artist-Royal-Parlor-Orchestra CARMEN SYLVA. Direction George Vintilescu. Big repertory, newest and latest songs. Two Violins, Cello, Bass, Viola, Cymbal, Piano (“The Artist”, January 1907). What about the name of the orchestra, CARMEN SYLVA? This was the pseudonym of the Rumanian queen Elisabeth I (Elisabeth zu Wied)! With this pseudonym the queen published short-storys and poems. The name “Carmen Sylva” appeared around this time very often in newspapers and was something like a synonym for upscale, Romanian culture and sophisticated entertainment. A well chosen name with recognition value by Vintilescu for his orchestra! 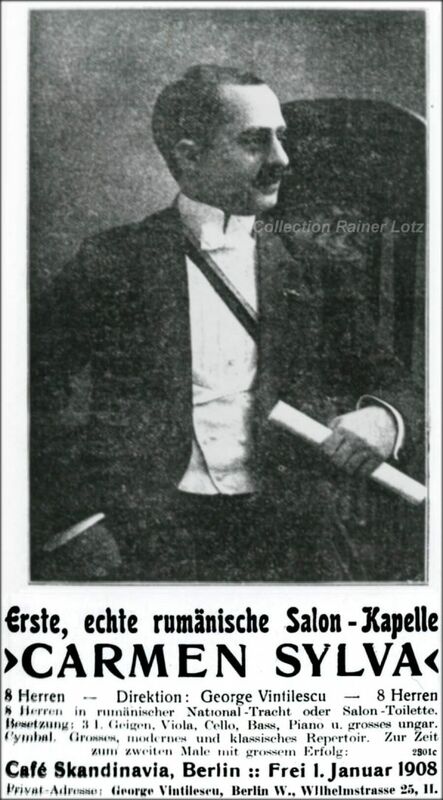 From February 1907 till late March 1907 Vintilescu played in Berlin in the "Café Skandinavia". 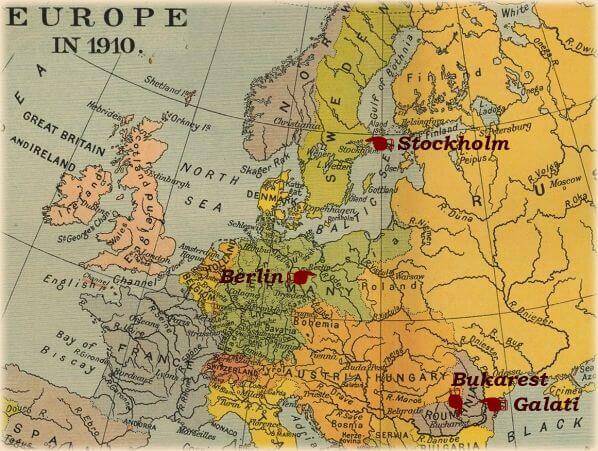 In April 1907 in Danzig (today Gdańsk, Poland), summer 1907 (May to September) back in Berlin. With the orchestra: 3 violins, viola, bass, piano and Hungarian cymbal. It is not know, if the brother Constantin had been with the orchestra around this time – but probably. 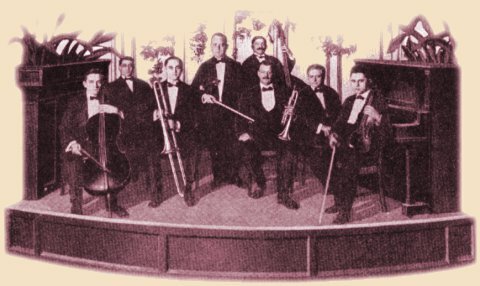 From October to December 1907 the orchestra was back at the "Café Skandinavia". In December 1907 (15.) the magazine “The Artist” showed an advertisement (with picture) by Vintilescu. He was looking for a new employment for him and his orchestra on from January 1908. But Vintilescu left Germany and Berlin in early 1908. The new destination for him and his orchestra: Sweden! On from February 1908, he and the orchestra “Carmen Sylva” played in Stockholm in “Berns Salonger”. Heavily advertised in newspapers, he played here almost continuously up to July 1910. 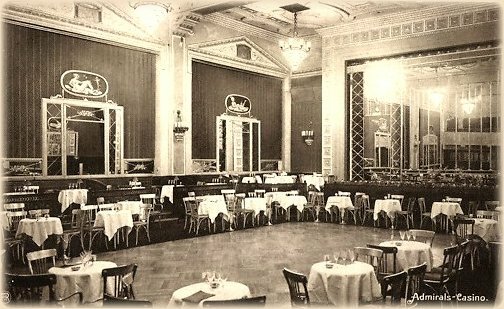 "Berns Salonger" had been back then THE address No1 in Stockholm for entertaining, dancing and good lunch. 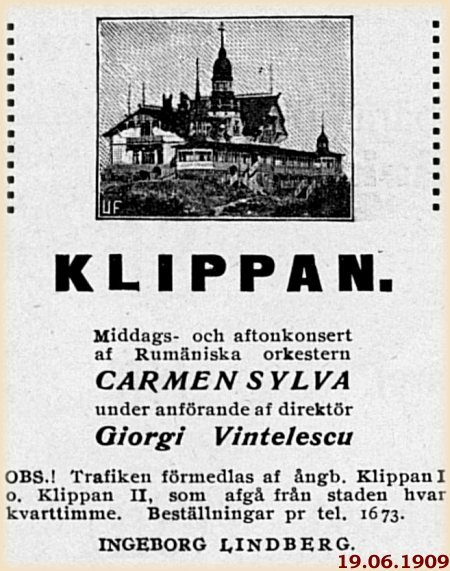 From May to August 1909 Vintilescu played a guest performance in the restaurant and dance hall “Klippan” in Helsinki, Finland. Also here the newspapers wrote about him and the orchestra “Carmen Sylva”. 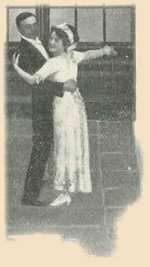 After the turn of century and before WWI, social dancing (in publicity) underwent the first, big popularity. New and very luxury dance halls had been built. Opened in 1910, the “Palais de Danse” in Berlin became immediately one of the most beloved dance halls (better dance palace…) in Berlin. And the new orchestra, under direction of Georgi Vintilescu, the most sought-after dance band in the town. Besides the daily appearance in the Palais, Vintilescu played with his orchestra also private and other social dancing’s. 5 o´clock teas. Vintilescu, the black-haired bandmaster with the Balkan-Temperament and his red dressed musicians attracted with lovely melodies into the hall. Only interrupted by a short Engament in the „Cafe Kerkau“, Vintilescu played in the Palais de Danse till November 1912. In December 1913 the magazine “The Artist” wrote a long article about Vintilescu and his orchestra. "Mit Ausnahme von einigen wenigen Ballhausorchestern bestehen nunmehr fast alle Berliner derartigen Ballhausorchester aus Künstlerkapellen, d.h. sie sind so besetzt wie jedes reguläre Salon-orchester. ... Ausser den hervorragendsten Berliner Ballhausorchestern ... denen ich das des Herrn Kapellmeister Litschauer im Rattenschloss voranstellte, haben wir vorerst die Brüder Vintilescu. 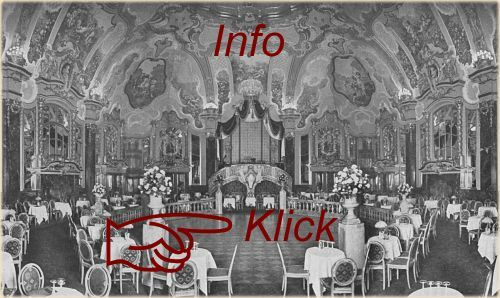 Der ältere der Brüder leitet das Ballorchester im Palais de Danse, und er hat sich, ebenso wie sein jüngerer Bruder im Admiralscasino zur Verwendung von Musikern aufgeschwungen, die eben Ensemblemusiker waren und sind. Demzufolge ist auch die Qualität dieser in den Etablissements gemachten Ballmusik hervorragend gut, doch besitzt sie, wie einige andere Ballorchester einen Mangel, der dem Musiker unangenehm auffällt. Die Geigen sind überall recht dürftig besetzt, wenn gleich sie gut ausgestattet sind. Es ist dieser Brauch gewiss auch eine Folge der immer mehr überhandnehmenden Modetänze amerikanischen und südamerikanischen Ursprungs. Der Walzer erfordert, wie bekannt, ein unbedingtes Hervorheben der Melodieführung während erstere Tänze bloss eine kräftige Unterstreichung des Rhythmus benötigen. War es ferner schon zur Zeit des Walzerregimes ein schaden, dass die Obligatgeige und die Bratsche als nebensächlich betrachtet wurden, so haben One Step, Two Step etc. hier erst recht keine Besserung, sondern eher eine noch stärkere Vernachlässigung dieser Füll-Streich-Instrumente mit im Gefolge gehabt. Der Tango jedoch, dieser vielumstrittene Tanz, er sollte unsere Ballorchester wieder daran erinnern, dass es auch im Tanz eine Melodie gibt, die den Tanzenden seliger macht, als der allein seligmachende Rhythmus. Tatsächlich strotzen auch alle bisher bekanntgewordenen Tangos von Melodien und bei dieser Gelegenheit sei auch darauf hingewiesen, dass ja die Ausführung der einzelnen Figuren im Tango nicht vom Rhythmus abhängig ist, auch nicht vom Belieben des Tanzpaares, sondern dass die melodische Figur auch die Tanzfigur vorschreibt. Aus diesem Grunde werden die Ballorchester es sich angelegen sein müssen, auf eine komplette Besetzung der Streichinstrumente nebst Obligatgeige und Bratschen zu dringen und dem Schlagzeug wieder die untergeordnete Rolle zuzuweisen. - Für den Musiker ist der Dienst in keinem der genannten Ballhäuser ein leichter. es wird fast überall ‚durchgespielt’ und mit Rücksicht auf den immerwährenden Wechsel im Geschmack der Tanzenden erfordert die Leitung der Ballorchester eine ruhige, sichere und geübte Hand. Dem jüngeren der beiden Brüder Vintilescu wäre mit Rücksicht auf den Raum eine grössere Diskretion anzuempfehlen, um so mehr, als auch hier die Streichinstrumente zumeist von den Holzbläsern übertönt werden." Besides arrangements for the orchestra, Vintilescu wrote also some compositions. 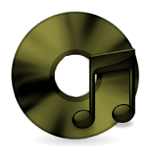 Most of them had been issued by the (music) publishing company “Max Roehr” in Berlin. Since 1905 Max Roehr had an contract with the music publisher Jerome H. Remick in New York, which include both the distribution as well as the sub-publishing for numerous other European countries. So the compositions by Vintilescu had been also released in other European countries. In addition to the cooperation with Max Roehr (and indirectly Jerome H. Remick in New York), Vintilescu got access to the latest music sheets with modern dances from the USA. Maybe Roehr had something like the “Management” of the Vintilescu orchestra in Germany. Recorded in Berlin between 1911 and 1914. As said before, around 1910 modern social dancing became very in favorite – not only with the “upper class”. Of course the recording companies wanted to satisfy the demand for records with modern dance music. So, without surprise, the companies became very fast alerted by the fine orchestra of the Palais de Danse. In early November 1911 the German Grammophon (Deutsche Grammophon) recorded the band led by Vintilescu for the first time. Although some other (studio?) orchestras recorded around this time with a similar line-up, but no one with that success as Vintilescu! Up to 1914 he recorded estimated 350 tunes for various companies in Berlin. This was only stopped by the outbreak of WWI and the prohibition of social dancing in public while the war. 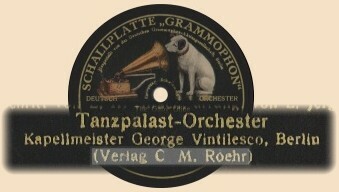 Deutsche Grammophon: With this label the collector of today find most often records by Vintilescu and his orchestra from the Palais. Between November 1911 and September 1913 the sister company of the HMV cut beyond 200 waxes. The records sold not only in Germany, but almost whole Europe from the former countries of the Austrian-Hungary Monarchy, France, Britain, Sweden and even czaristic Russia. But, it seems, Vintilescu didn´t recorded exclusively for the German Grammophon. 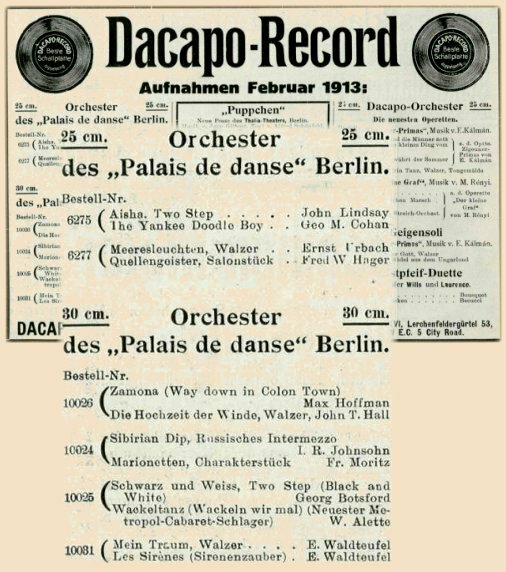 Anker & Da-Capo: Late in 1912 the bandmaster recorded also DaCapo-Record. It is not known for certain, if the orchestra had been led by him or the bandmaster Rudolf Hoffmann. 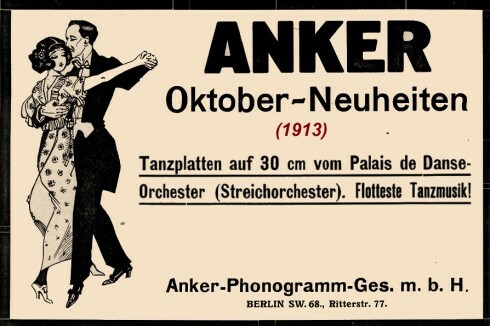 In summer 1913 also some (quantity unknown) recordings for the Anker company. 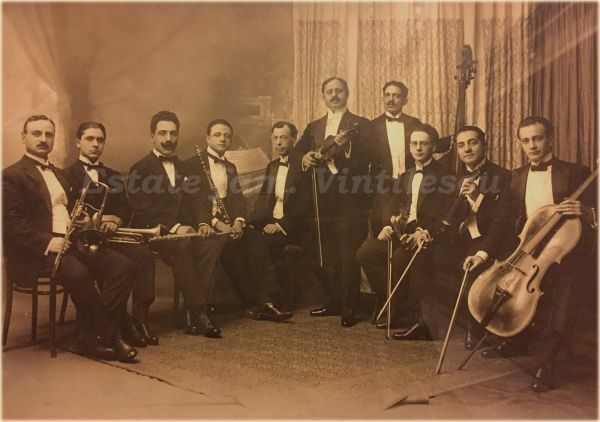 Applaudano: In autumn 1913 the Applaudano company signed an contract with Vintilescu to record exclusively for their company. Around 90 titles had been cut. They also appeared on the special made and new label "Palais de Danse-Special-Record". 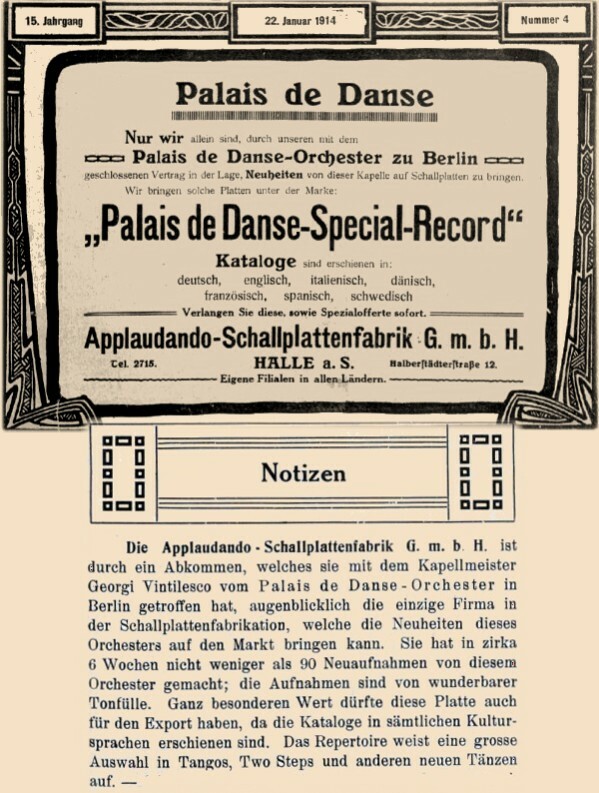 The APPLAUDANO record company is at the moment, through a contract with the bandmaster Georgi Vintilescu from the Palais de Danse (Berlin), the only company to offer new recordings by this orchestra. Within six week the company recorded not less than 90 new titles…. With a big variety of Tangos, Two-Steps and other new dances. 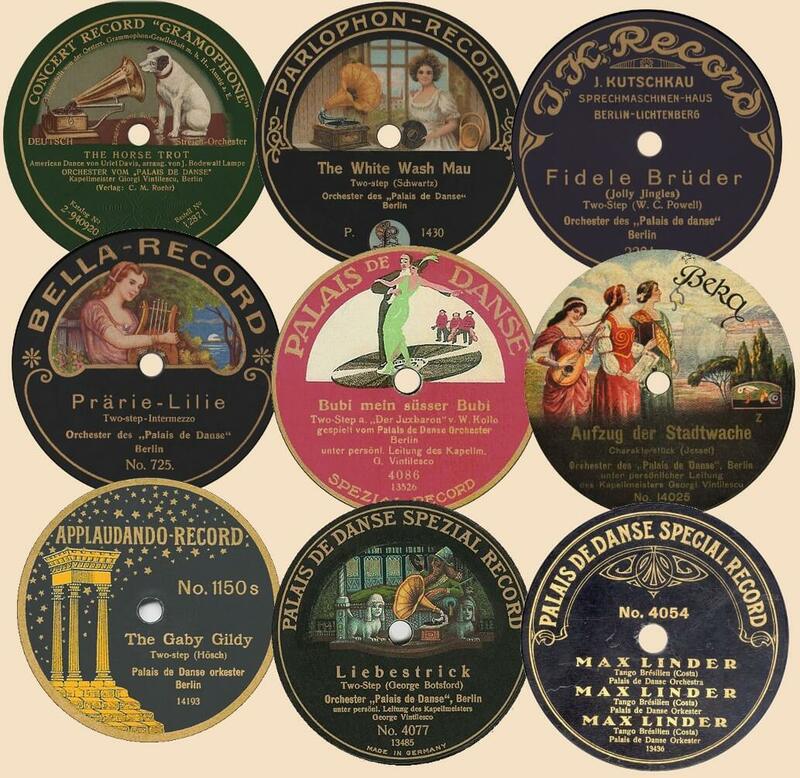 Lindström: As early as February 1912 the orchestra recorded also for the big Lindström trust with their various labels. The records appeared (also outside from Germany) on the labels Beka, Parlophone, Coliseum, Ariel, Scala-Record, Grand-Gala, Arrow, Lyceum, ABC-Grand-Record, Albion and so on. One recording session from January 1913 (masters 14758 – 14765) for Beka had been led by the bandmaster Rudolf Hofmann. Vintilescu played at this time in the “Café Kerkau” and not in the Palais de Danse. Two more recording sessions in June and July 1914. On the whole, Vintilescu made around 60 single recordings for the Lindström company. Sadly even lesser is known about the brother Constantin. Only for sure: He was younger when Georgi and had been also an violinist. Maybe he was from time to time a member of his brothers orchestra. It is even difficult to distinguish the both. In contemporary newspapers you often read only “Orchestra Vintilescu”. Georgi? Constantin? In the fall of 1912 the new “Admiral-Casino” (in the Admirals-Palast, Berlin) opened as a new dancing hall. First a “Hungarian Band in their red tails” played here – it is not known, if this orchestra had been already led by Constantin. In May 1913 he was first mentioned with the Admirals-Casino: “… to the brisk melodies of the Vintilescu orchestra” (Berliner Tageblatt, 30. Mai 1913). Late 1913 Constantin Vintilescu also recorded some sides for the Deutsche Grammophon. Just like his brother, mainly “modern” dances like Tango, Two-Steps and so on. Quoted in the recording documents of the HMV: ADMIRALS KASINO ORCHESTER - CONSTANTIN VINTILESCU. Up to 1914 Constantin Vintilescu alternated in the Casino with the orchestra of bandmaster Max Tauber. After WWI Tauber still played here – nothing more is known about Constantin. The outbreak of war in August 1914 caused the end of the career by the Vintilescu-Brothers in Berlin. 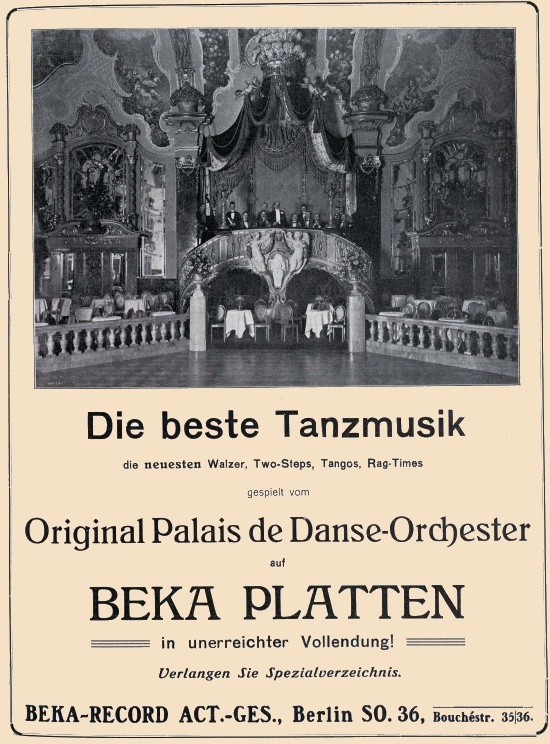 The “Palais de Danse” chanced the name to “Tanz-Palast”, dancing in public became forbidden. Under this circumstances a lot of musicians lost their incomes – the Vintilescu´s also. 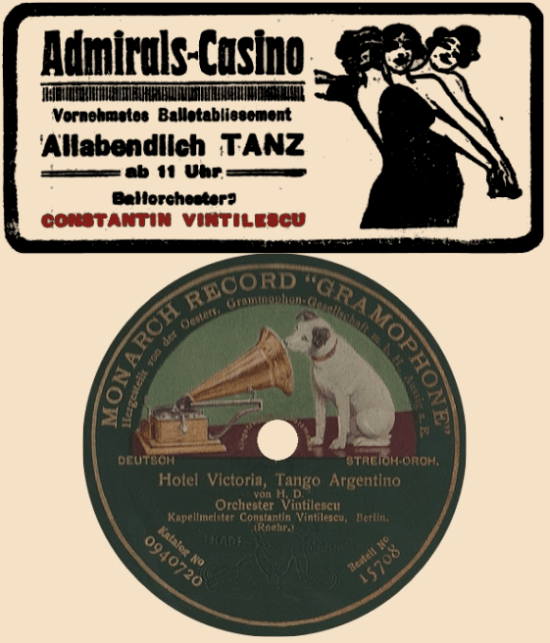 No more new recordings by Vintilescu – some of the older recordings had been still released, but now with “Tanzpalast” on the label and sometimes without mention of the bandleader. 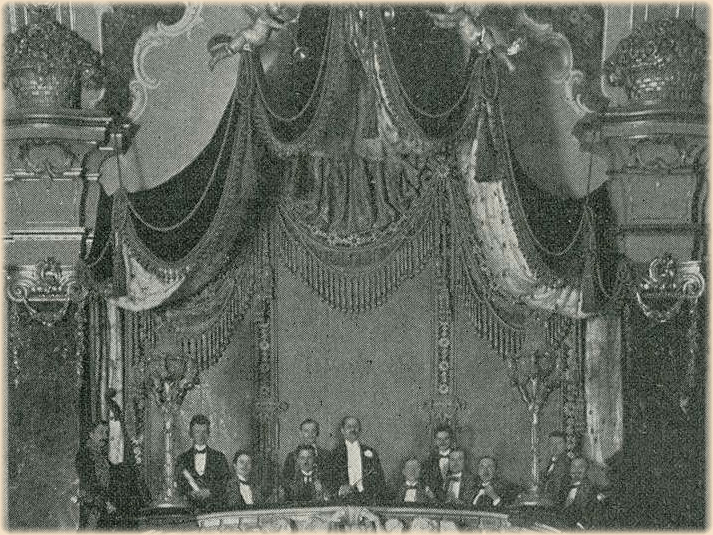 The „Concert –Kapelle Vintilesco“ played in December 1914 in the cabaret „Fledermaus“ – the last time the name was mentioned in the newspapers. Also here it is uncertain, if it is Georgi or Constantin. 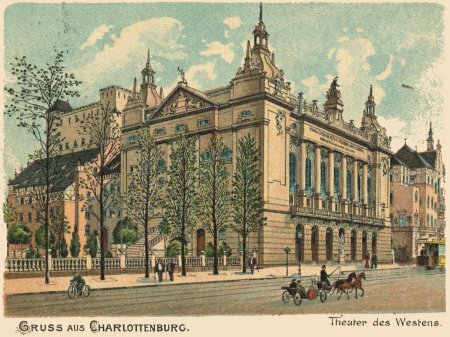 In 1917 the bandmaster Carl Rosenthal played in the “Tanz-Palast” (former Palais de Danse), by the end of war also the orchestra of Cziko Grünberg. 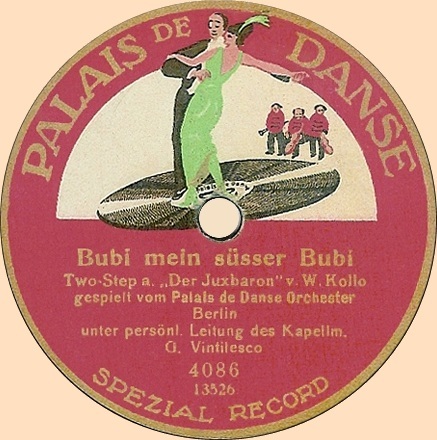 Both recorded after WWI as “Orchester vom Palais de Danse” for various companies (The wartime “Tanz-Palast” was renamed to “Palais de Danse” in 1919). Nothing to do with Vintilescu. It is not known what became of Constantin, Georgi left Berlin in late 1914 or early 1915. 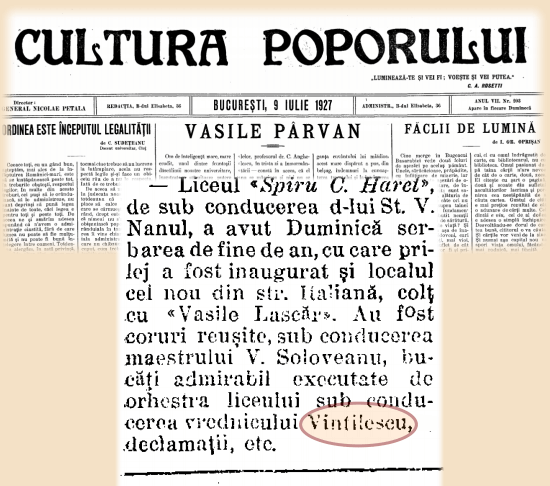 By the outbreak of WWI, Vintilescu was still a Romanian citizen. Around summer 1915 it became more and more obvious, that Romania would give up the status as a neutral nation in the war. At this time Berlin and Germany wouldn´t be the best place for a Romanian citizen… (In summer 1916 Romania declared war against Austria-Hungary). Maybe this was also a reason for Vintilescu to leave Germany. Sweden stayed neutral in WWI. Vintilescu was familiar with the country from former times – He returned to Stockholm. Despite their neutrality, Sweden keep good contact to Germany while the war. A former “Star from Berlin” had been welcomed. On 12. 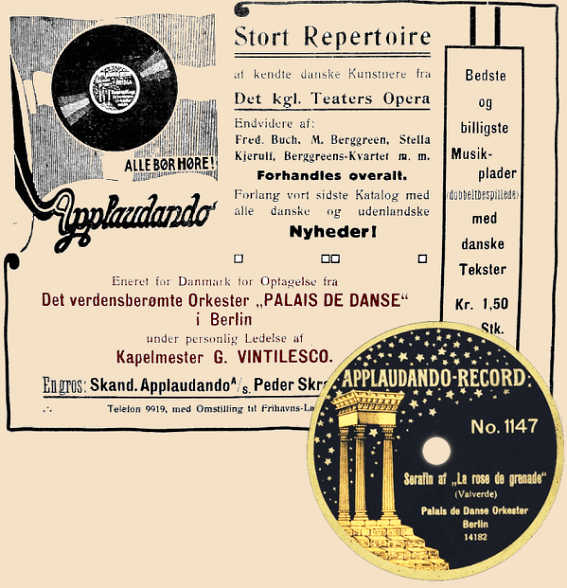 November 1915 the newspaper “Aftonbladet“ reported, that the with the whole continent known bandmaster Vintilescu from the Palais de Danse, from now on would play in Stockholm. 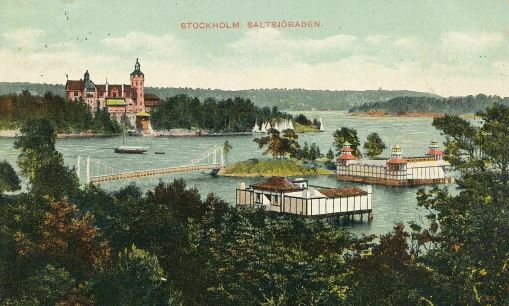 Vintilescu and his orchestra played up to c. August 1916 in the Grand Hotel Saltsjöbaden on a little island outside from Stockholm. 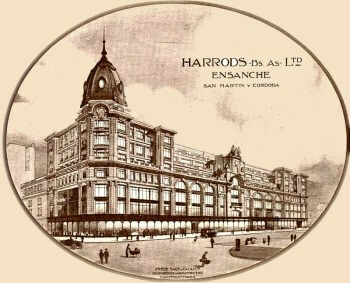 In the newspapers he had been still advertised as “from the Palais de Danse”. 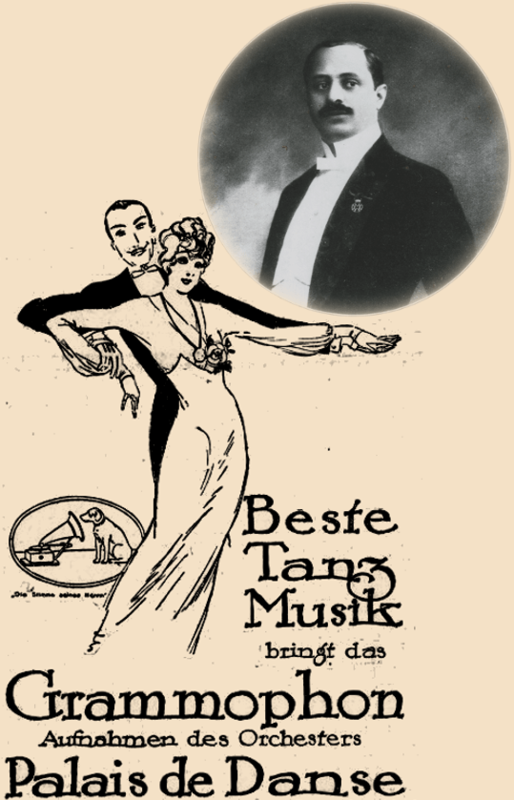 From fall 1916 on, he performed at the restaurant “Kastenhof” (opened in 1915), Wahrendorffsgatan 4-6 in Stockholm. From time to time the location had been also advertised as “Quick Lunch Diner”. Sometimes it read “Quartett Vintilescu“ – another time simply „Orchestra“. From now on the paths of travel aren´t always precise. He had been back in Europe since June 1921. Sweden? Germany? Romania? We don´t know it for sure. On 9. August 1922 he had been translated his certificate of birth into Swedish. He also meet (in Sweden?) Elin (Elena), still married to another. Elin became pregnant in 1922. In November 1922 Elin wrote an letter to Georgi – who stayed in BERLIN! 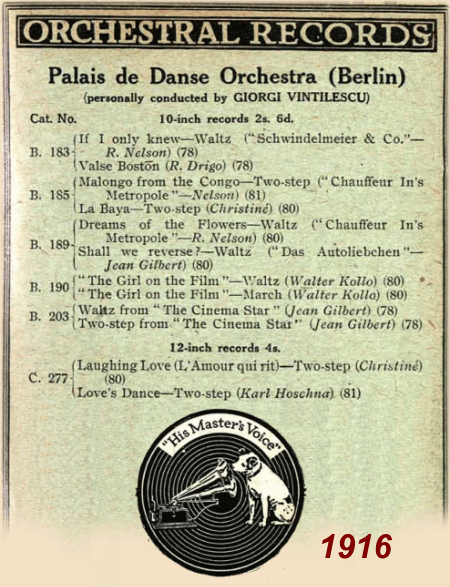 In December 1922 a “Dance Orchestra Vintilescu” recorded in Berlin some sides for the young record company VOX. It is not known for sure, if this is (again…) Georgi or Constantin playing. Apart from a “modern” drum-set, the orchestra sounds a lot like the Vintilescu band from the Palais some years ago… But, as his future wife wrote Georgi in Germany, it is most likely, that this is an orchestra under direction of Georgi Vintilescu. Bandmaster Vintilescu had given new samples of his fascinating art. The choice of numbers.. represent the reliable, musical appeal for distinctive taste. It is quite possible, that Vintilescu tried in Berlin after the war to succeed again. But, if so, this attempt failed. Not before 1923 we hear again from Vintilescu. He married Elena Vintilescu (in Sweden) on the 12. of April 1923. 1923 saw also the birth of his first son Jan(ica) Vintilescu. In 1925 Georgi Vintilescu (Jr.) had been born. 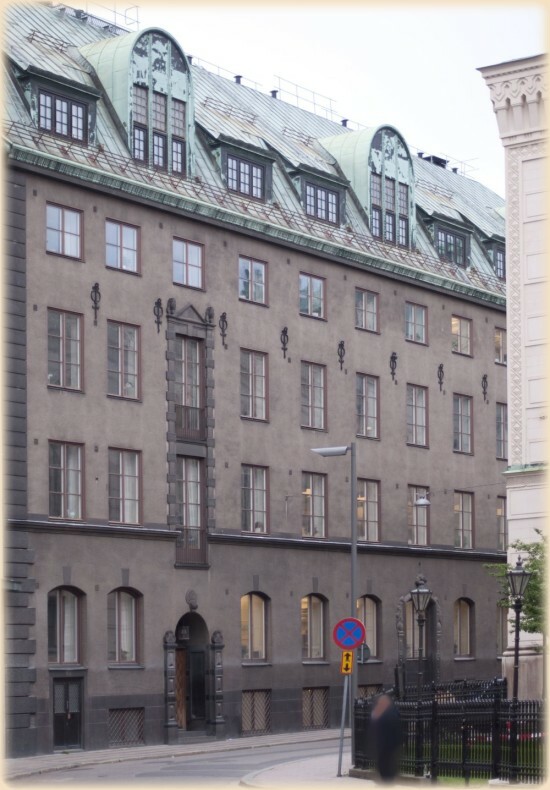 From May to September 1923 he played again in the restaurant Kastenhof in Stockholm. Late 1923 followed a short Engament in the „Dramatiska teaterns restaurang“ (Stockholm). 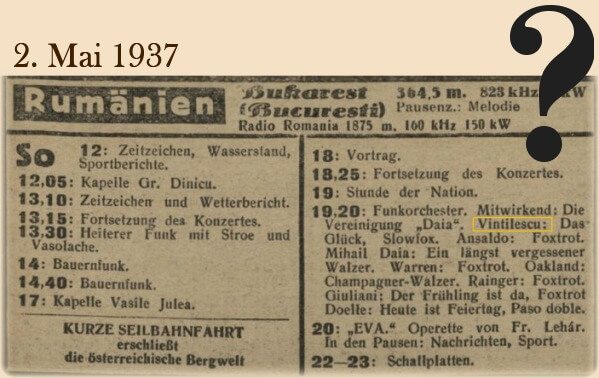 But, here something went wrong… According to newspaper clipping (January 1924), Vintilescu hadn´t been paid (and couldn’t also pay his musicians), all in all he lost more than 3600.- Kronen! 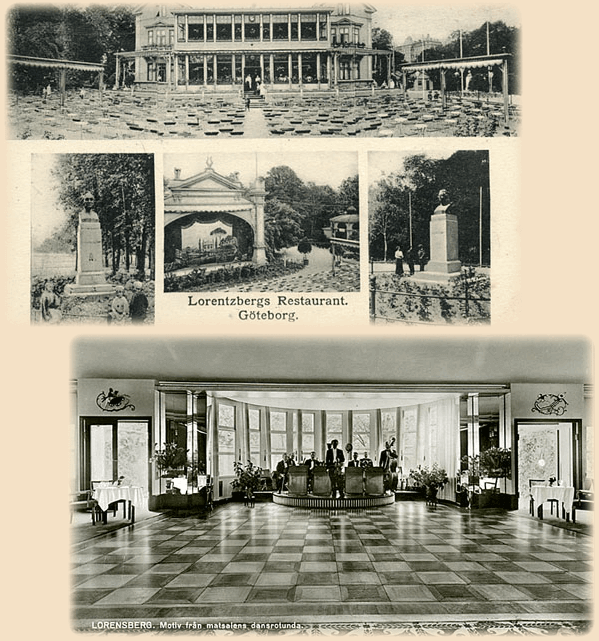 In May 1924 he performed at the „Lorensbergs Restaurant“, Göteborg. But his former fame as an artist had been lost. In March 1926 he advertised his little orchestra in the newspaper „Dagens Nyheter“ (“6 musicians with Hungarian cymbal or piano”). 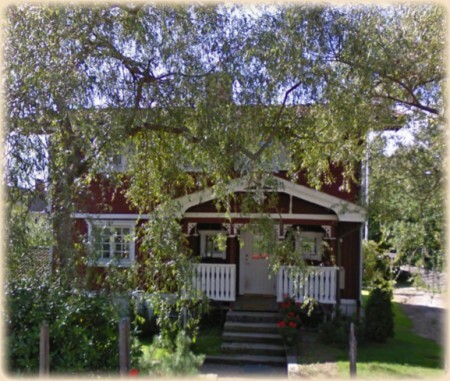 His home address was Riddarevägen 14, a little cottage in Stockholm. It seems, shortly afterwards he left Sweden and his family – this time forever. Elena Vintilescu parented the two sons without the father. One became later by himself a respected musician in Sweden. Georgi left for Bukarest, Romania. In December 1926 he wrote an letter to his wife in Sweden, telling her, that he is working as a teacher in a school daytime and playing in an orchestra at night. Telling her they will have the same kind of life as in Sweden before. He would also like to meet his second son Georgi, who he had never seen. Elina came over the next years from time to time to Germany – maybe to meet Georgi. The further path of Vintilescus life is unknown – also to the family. I would like to express my heartfelt thanks for their help and their patience with all my questions to the family and succession of Georgi Vintilescu in Sweden. Also to Dr. Rainer Lotz for his help, support and research.